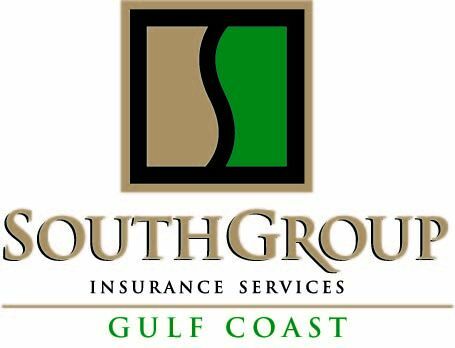 SouthGroup Gulf Coast - Your Trusted Choice: Help! Someone has stolen my identity!! For decades, identity theft has been an issue. In the past, your mail was stolen from your mailbox or from your garbage. People would steal things like credit card offers sent to you, complete them, and then have YOUR new credit card sent to THEIR address instead. Today, due to the boom in technology, identity theft is more prevalent than ever - and much more common. As we recognize the seriousness of this threat, SouthGroup Gulf Coast is hosting a Free Shred Drop April 14-30, 2014. As part of our commitment to community service, we invite you to deliver your old personal documents to one of our 3 convenient coastal locations (Bay St Louis, Biloxi, or Diamondhead). We will protect and have these documents shredded at no expense to you. Anyone with an identity to protect is welcome to participate! Millions of dollars have been stolen from individuals through stolen identity credit card purchases loans and more. Millions upon millions of dollars have been spent trying to prevent the theft and capture the perpetrators. The damaging effects of identity theft are huge. Many peoples' credit and reputation have been destroyed because of the misuse of their identity. Also, unfortunately, once identity theft has occurred it is a timely and costly process to get it resolved. Fear of identity theft has spawned a huge industry of protection-related products. But you can do a lot of the same things on your own without paying a fee. For instance, putting a fraud alert on your account entitles you to a free copy of your credit report from each of the three credit bureaus every 90 days. Add in the free annual crediet reports you can get from each bureau at www.annualcreditreport.com, and you're entitled to 15 free credit reports every year. Some banks automatically provide ID-theft insurance to checking-account holders and some insurers include ID-theft coverage in their homeowners insurance policies for a very low cost. And you can get free help from the http://www.idtheftcenter.org/ and the attorney general's office in some states. A very common type of identity theft is tricking a victim into giving out personal information such as a social security identification or a credit card number. Phishing is one of the preferred method of fraudsters. Phishing works by obtaining your personal information through the use of misleading e-mails or pop-up messages from what appears to be a legitimate companies such as your bank or internet service providers. In some cases, this is also done by phone. Protecting your personal information can help reduce your risk of identity theft. The best ways to do so are: be careful with whom you share your information, store and dispose of your personal information securely, and maintain appropriate security on your computers and other electronic devices. Identity theft continues to be one of the fastest growing crimes in the United States. It is important for consumers to recognize that identity theft is not just a financial crime. This crime varies widely, and can include financial identity theft (checking and/or credit card fraud), criminal identity theft, governmental identity theft and even medical identity theft. It can be a difficult crime for a victim. Your life has been altered. You are faced with tasks that may be confusing and situations you don't know how to handle. Unfortunately, in the case of identity theft the burden of proving innocence rests on the shoulders of the victim. Many insurance companies offer Identity Theft insurance as an endorsement to home insurance policies and some offer separate policies just for this coverage. Unfortunately, insurance can not prevent the incident from happening. You must be proactive to prevent identity theft. But insurance can help you if you become a victim with reimbursement for expenses incurred during the legal recovery process, as well as personal help. SouthGroup Gulf Coast, your Trusted Choice Advisor, is here to locally aid you with this type of coverage and, while we hope you never become a victim, we will be here to help you through the recovery process. Again, as we recognize the seriousness of this threat, SouthGroup Gulf Coast is hosting a Free Shred Drop April 14-30, 2014. As part of our commitment to community service, we invite you to deliver your old personal documents to one of our 3 convenient coastal locations. We will protect and have these documents shredded at no expense to you. Anyone with an identity to protect is welcome to participate! SALES AND SERVICE AGENTS: Angelyn Treutel Zeringue, Tammy Garfield, Tammy Hogue, Brittany Jones, Denise Russell, Melissa Moran, Alex Treutel, Susan Monti, Anne Gillam, Ashlie Moody, Michael Reso and Whitney Zimmerman at SouthGroup Gulf Coast. You can reach us by snail-mail or in person: 412 Hwy 90, Suite 6, Bay St Louis MS 39520, email: atreutel@southgroup.net , phone: 228-466-4498 , fax:888-415-8922, FaceBook www.facebook.com/southgroup.gulfcoast, or Twitter www.twitter.com/atreutel !